Every night can be a Whole30 taco night! At our house, we have tacos on the regular, because our whole family loves Whole30-friendly Mexican food. 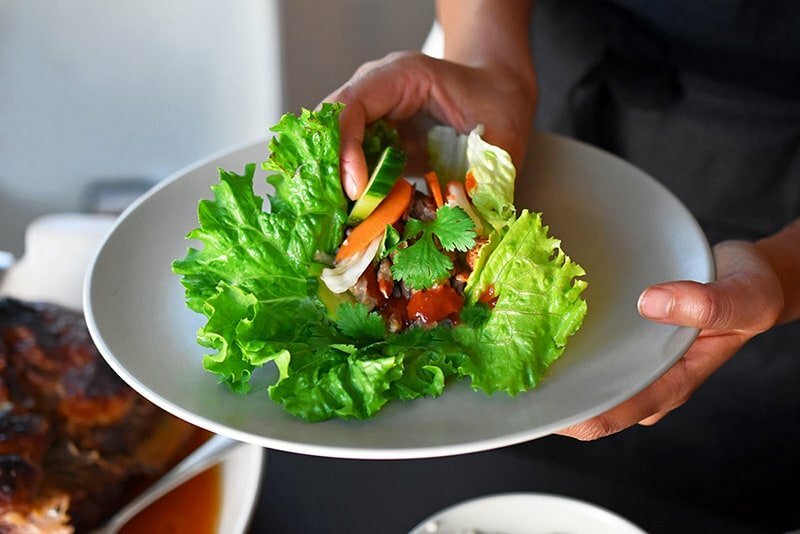 On Taco Tuesdays (or Wednesdays or Thursdays or Fridays…), I’ll whip up a meaty filling and serve it with lettuce leaves and a bunch of tasty salsas and toppings. I serve everything taco-bar-style so everyone can customize their own Whole30 taco dinner as he or she pleases! What do use for Whole30 Taco Shells? Vegetables! Simply replace the corn or flour tortilla with something from the produce section. The simplest Whole30 taco shell are lettuce leaves. My favorite type of lettuce is butter lettuce because they’re big and sturdy. You can also thinly slice jicama to make a tasty and crunchy shell. Want a shell with a little more heft? You can cut a bell pepper in half and scoop out the seeds and membranes and fill it up. Wanna eat with a fork? Just serve the pile everything on top of a bed of salad greens and you’re good! Another Whole30 option—if you’re willing to go the extra mile and do some deep-frying—is Fried Green Plantains (a.k.a. 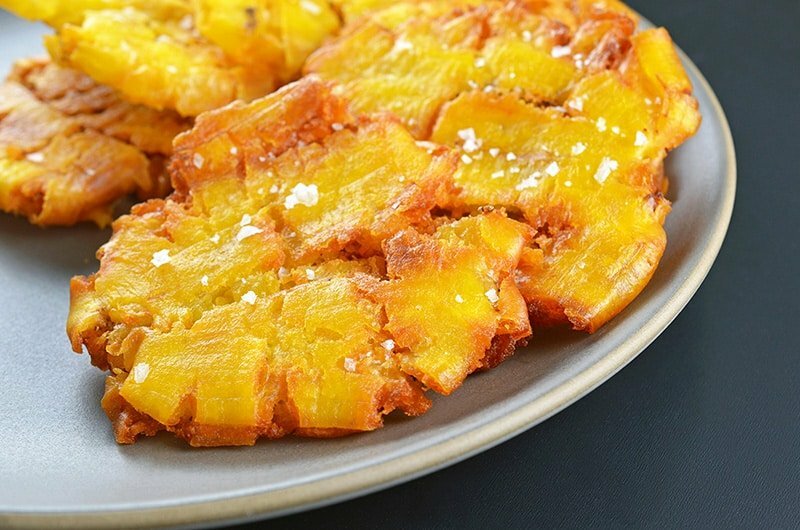 Tostones or Patacones). Although there are Paleo-friendly taco shells on the market (Siete makes my favorite ones), they’re considered SWYPO on the Whole30 and you can’t eat them until your dietary reset is over. The standard taco toppings (except for cheese and sour cream) are normally good to go on a Whole30. 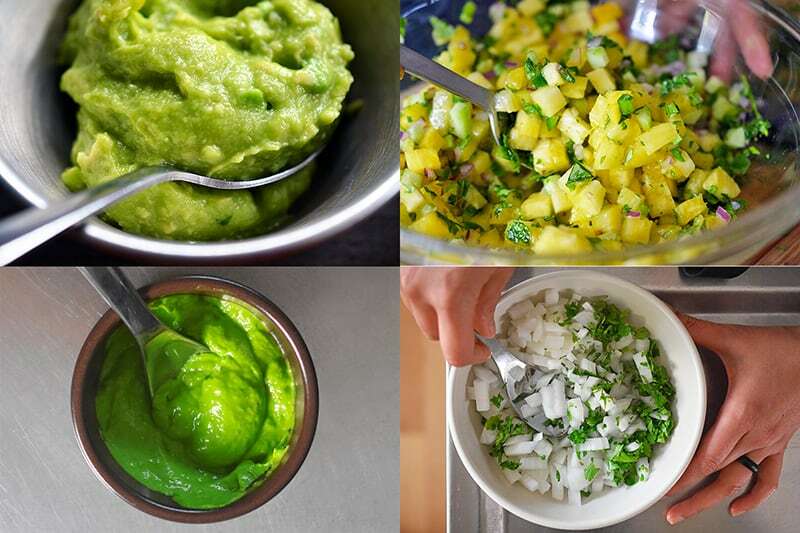 You can make your own salsa or guacamole, but you can find a lot of compliant pre-made ones at the store if you’re in a rush. I’m always looking for shortcuts to deliciousness, so I keep a few store-bought compliant salsas in the pantry for weeknight taco extravaganzas! 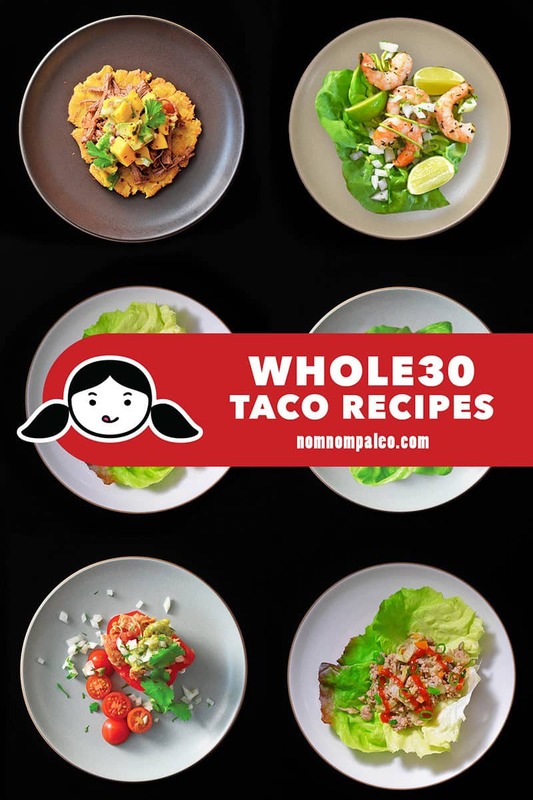 Feel free to choose one of the tasty Whole30 taco fillings below or make a few and mix and match! 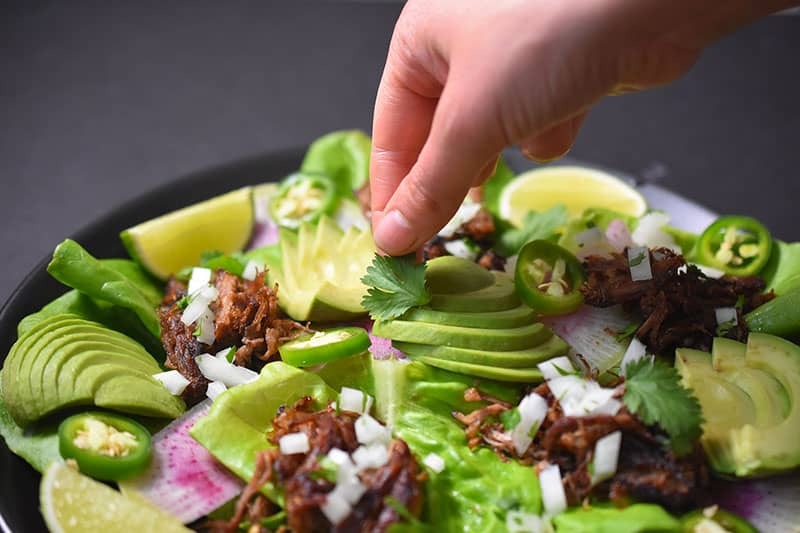 Instant Pot Carnitas: Whenever we go out for tacos, carnitas is our filling of choice, but it’s simple to make at home, too! Our family always craves this tender Mexican shredded pork, particularly once it’s crisped up in a hot skillet. 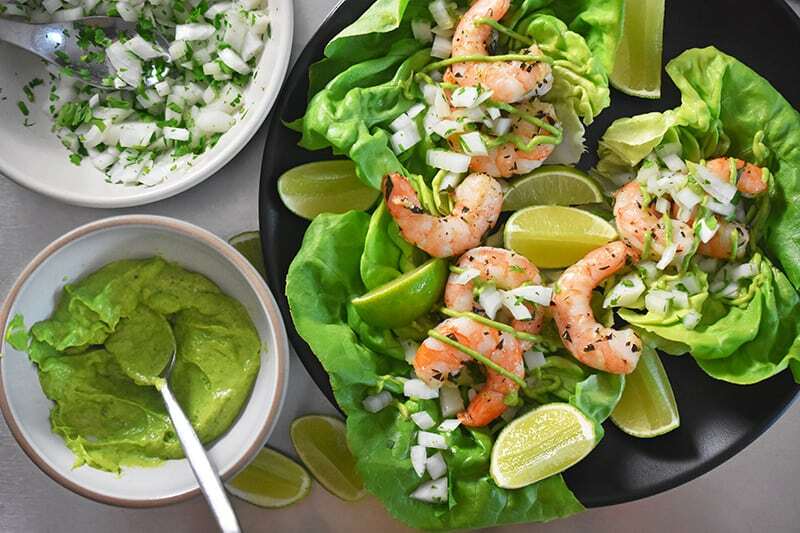 Paleo Shrimp Tacos: I love roasted shrimp as taco fillings—and this recipe is drop-dead easy! Instant Pot Salsa Chicken: A family favorite! 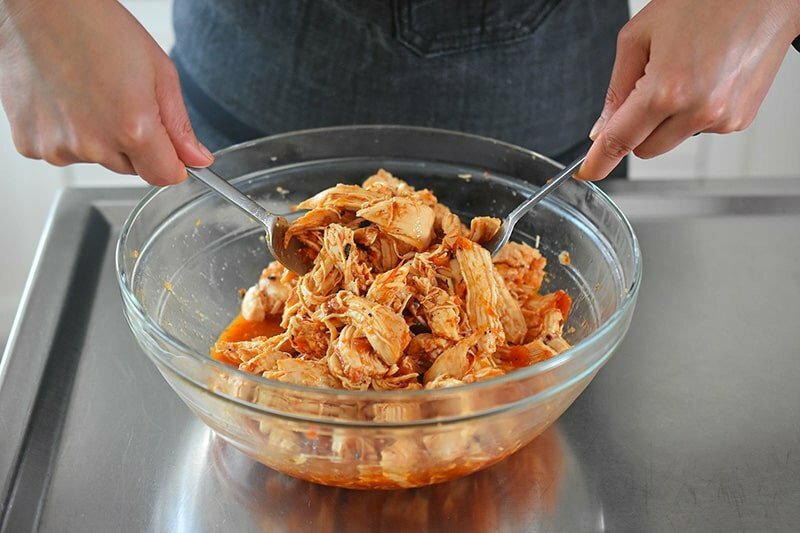 Use your Instant Pot to make tasty, tender stewed chicken in a flash. 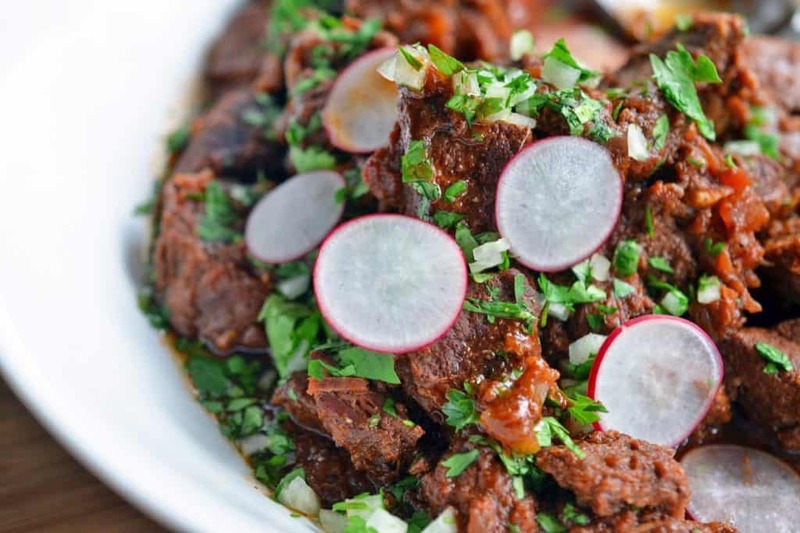 Mexican Braised Beef: This tender shredded Mexican beef is so simple and tasty. 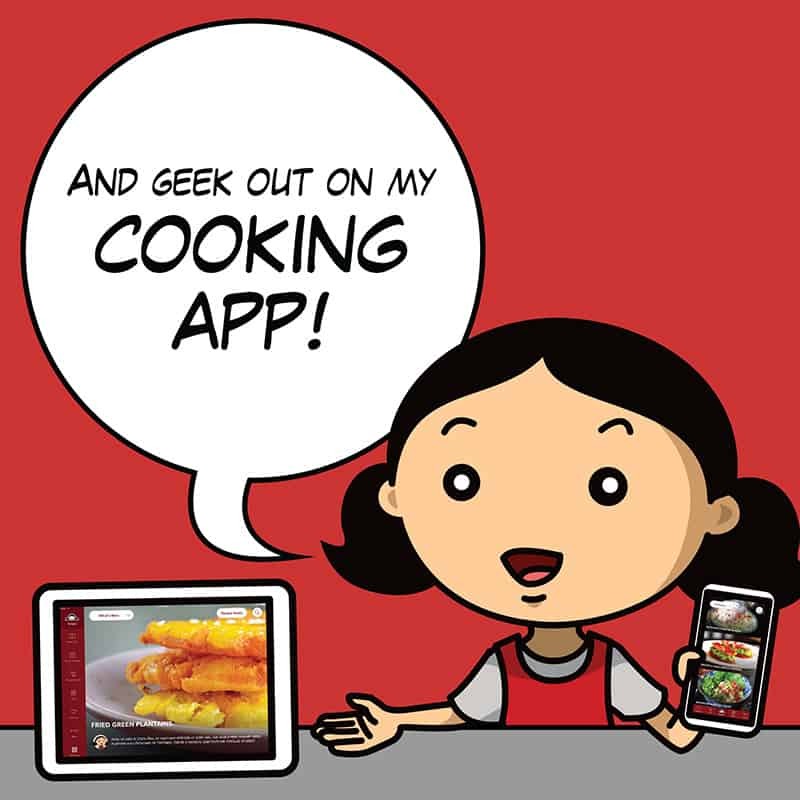 You can make it in the oven or in the Instant Pot! For more Whole30 taco inspiration, check out the “Leftacos” spread on pages 212 and 213 in our latest cookbook, Ready or Not! Now, go get your taco party started! Want more inspiration from my past January Whole30s? Check out my Day 17 posts from 2018 and 2017!